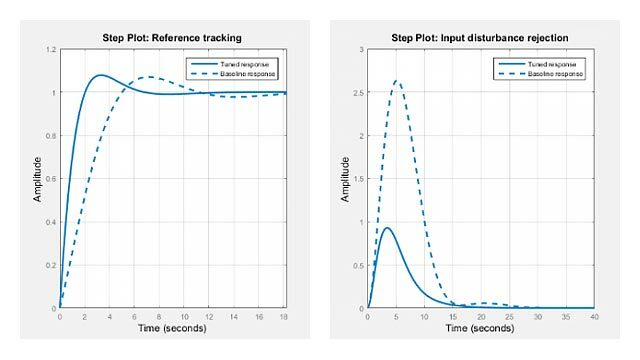 P = bodeoptions returns a default set of plot options for use with the bodeplot. You can use these options to customize the Bode plot appearance using the command line. This syntax is useful when you want to write a script to generate plots that look the same regardless of the preference settings of the MATLAB® session in which you run the script. P = bodeoptions('cstprefs') initializes the plot options with the options you selected in the Control System and System Identification Toolbox Preferences Editor. For more information about the editor, see Toolbox Preferences Editor. This syntax is useful when you want to change a few plot options but otherwise use your default preferences. A script that uses this syntax may generate results that look different when run in a session with different preferences. 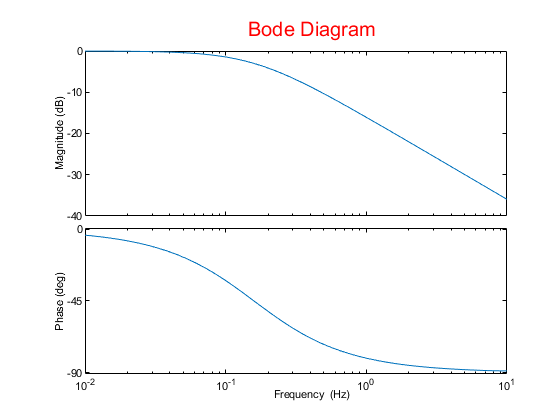 The following table summarizes the Bode plot options. String — Label text, specified as a character vector, for example 'Amplitude'. Specified as one of the following: Vector of RGB values in the range [0,1] | character vector of color name | 'none'. For example, for yellow color, specify as one of the following: [1 1 0], 'yellow', or 'y'. Number of standard deviations to use to plotting the response confidence region (identified models only). When you set PhaseWrapping to 'on', the plot wraps accumulated phase at the value specified by the PhaseWrappingBranch property. PhaseWrappingBranch Phase value at which the plot wraps accumulated phase when PhaseWrapping is set to 'on'. 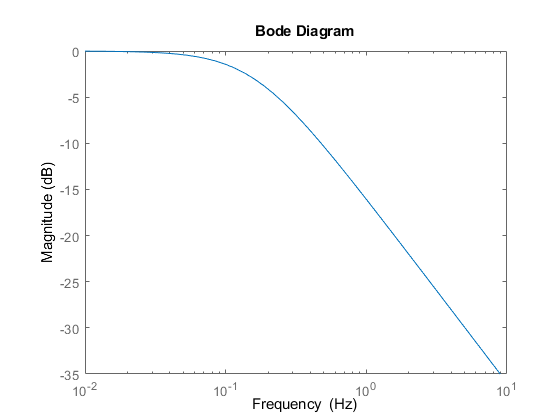 Create a Bode plot that suppresses the phase plot and uses frequency units Hz instead of the default radians/second. Otherwise, the plot uses the settings that are saved in the toolbox preferences. First, create an options set based on the toolbox preferences. Change properties of the options set. Create a plot using the options. Depending on your own toolbox preferences, the plot you obtain might look different from this plot. Only the properties that you set explicitly, in this example PhaseVisible and FreqUnits, override the toolbox preferences. Create a Bode plot that uses 14-point red text for the title. This plot should look the same, regardless of the preferences of the MATLAB session in which it is generated. First, create a default options set. Because opts begins with a fixed set of options, the plot result is independent of the toolbox preferences of the MATLAB session.